Confirmation will be celebrated on Thursday 28th May at 7pm. All children will participate in this service and wear school uniform. 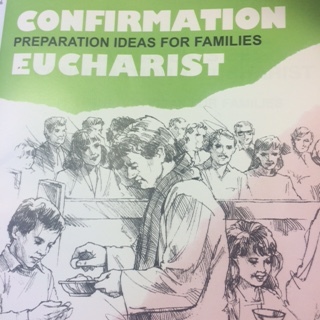 On Sunday, 31st May and 7th June the same children will receive First Holy Communion at Masses to be celebrated at 10 am. Girls: Traditional white dress and shoes. *Cultural clothing is also an acceptable option. Fr Iosefa asks that you pay $70 ($90 for 2 siblings) as soon as possible to cover the costs of materials supplied by the parish, ie reading / preparation resources, certificate, medal, group photo. Please send the money to the parish office. if the candidate was not baptised in Holy Cross Church, Papatoetoe. We would like all completed Confirmation Cards returned as soon as possible. May God bless you all and please continue to use this time for preparation, in prayer and the use of the materials supplied at the meeting in February and April. If you have any queries please do not hesitate to contact your child’s teacher who is preparing your child.